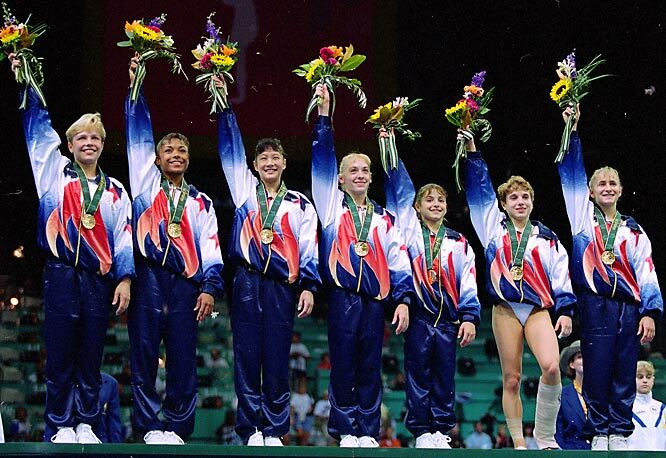 Way back in 1996, the US Women's Gymnastics team won Olympic Gold in Atlanta. You might remember Kerri Strug's amazing vault. Maybe you remember Dominique Moceanu's floor routine which was, appropriately enough, choreographed to "The Devil Went Down to Georgia". It's been 20 years. How time flies. When I was younger, I collected autographs. I've got some pretty interesting ones, but I'll do a post about that sometime later. In 1993, when I sent a letter to Dominique Moceanu asking for her autograph, not only did I get one but I got a nice personalized letter in response. So I responded and thanked her and she responded and I responded. And for a while we were "penpals" (back when that was a thing). Through these letters I caught a glimpse of an authentic Dominique that has persisted throughout the years. Her life story is a remarkable blend of the American dream, hard work, determination, adversity, triumph, tragedy and more. All the while her indomitable, infectiously positive spirit has continued to shine. A few years ago, she published a fascinating memoir called "Off Balance" that not only gives a detailed look into her past, but also introduces us to a sister we (and she) never knew she had (Her name is Jen Bricker and she has her own amazing story. Follow her on twitter!). Dominique now lives in Cleveland with her husband and two kids. If you follow her on Facebook, Twitter or Instagram, you'll see what I mean about her positive can-do attitude that never tires. 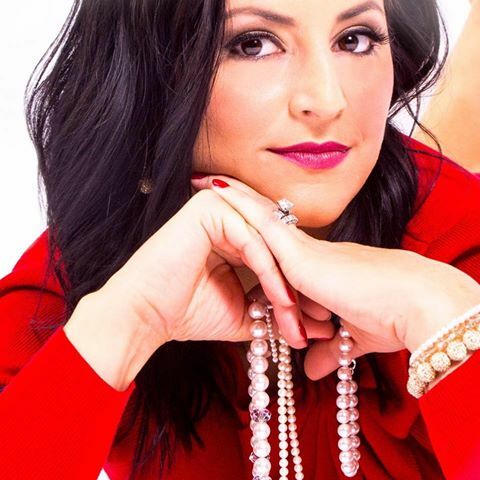 In 2014, Dominique and a friend started a business called Creations by C&C (Canales & Campbell; "Canales" is Dominique's married name). Every good "treasure" needs jewelry, so when I was putting together my cache, I reached out to Dominique. She was excited about the idea and contributed a pair of earrings at no charge. Yeah, I know. You're probably thinking that's just a wise business decision and low-cost marketing strategy. But I think it speaks more than that. Yes, she's a shrewd business woman. But my book and little treasure hunt are small in comparison to what she's achieved. She doesn't need the publicity garnered by my cache to help propel her career. If anything, it's quite the opposite scenario. Her kind gesture has likely helped me more than it has helped her. And that is the Dominique that continues to inspire fans and friends around the world. Along with the earrings in the cache, there's a signed certificate of authenticity. So if you find it, you too can have the autograph of the youngest Olympic gold medalist in US gymnastics history. Oh and as an addendum...watch her son do a handstand and realize just out of shape you are.